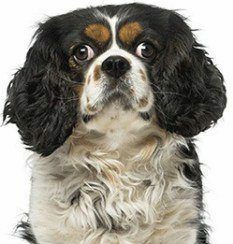 While most owners don't realize it, bad dry dog food can make dogs sick and unhealthy over time. Cheap ingredients are used to make dog food more affordable. Unfortunately, the inclusion of many unhealthy ingredients can lead to obesity, cancer, and much more. Some ingredients are used as filler to replace natural proteins. They add empty calories without much nutritional content. Other ingredients come from questionable sources and contain harmful additives or chemicals. One commonly used term in cheaper dry food labels is "meat byproducts." This often refers to 4-D meats, which are ingredients that are deemed unfit for human consumption. They can come from a variety of different sources. Some include slaughterhouse waste, roadkill, and even euthanized pets from shelters. "4-D" stands for dead, dying, disabled, or diseased. While they're unfit for human consumption, they technically fit the bill for canine consumption. As a result, many inferior manufacturers use 4-D meats as a protein source. Because these meat products come from a variety of sources, manufacturers don't have to provide specifics. Instead, they fall under the umbrella term of "Meat Byproducts." Corn is another commonly used ingredient to help keep costs down. Corn and other similar crops are very cheap to grow and harvest. They're a filler substitute to natural meat protein. Unfortunately, dogs aren't made to consume corn on a regular basis. While it may seem fine at first, a lifetime of eating corn can be detrimental to a dog's health. Similar to corn, grains are often thrown into the mix to benefit production costs. Wheat, rice, and other grains can be difficult for dogs to digest. Dogs don't have molars to grind up grains. Furthermore, these grains are often treated with a number of chemicals prior to harvesting. These chemicals can transfer into the dog food formula and slowly cause issues as the years progress. Unfortunately, many synthetic chemical ingredients are used in cheaper formulas. These ingredients are used to prolong the shelf life of a product or make it more enticing. In most cases, these ingredients are unnecessary. There are more natural alternatives to achieve the same results, but many manufacturers avoid them due to costs. 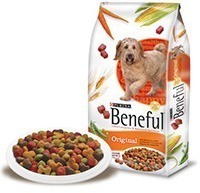 While Beneful by Purina does contain chicken as a protein, it's also full of corn, soy, and wheat. These ingredients can cause significant digestive and health issues over time. It also has questionable chicken and poultry by-product. In terms of chemicals, the formula contains numerous artificial dyes. Again, corn is listed as the first ingredient. There's also beef and bone meal, soybean meal, and wheat flour. It's noticeably absent from any natural muscle meat sources. In addition, the formula contains numerous synthetic dyes and hydrochloric acid or preservation. 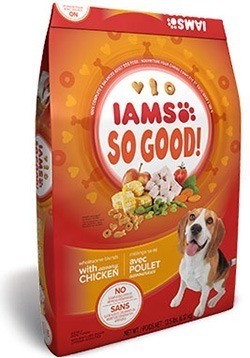 While chicken is the main source of protein for Iams, it also contains chicken by-product meal. It also includes corn meal and whole grain sorghum. Another potentially dangerous ingredient used in the formula is dried beat pulp. It's used as a sugar filler and can cause weight gain. 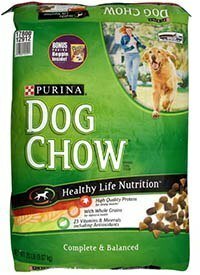 The main ingredient in Dog Chow is whole grain corn. There's also unfavorable poultry by-product meal, meat and bone meal, whole grain wheat, and soybean meal. Purina also used four different dyes to achieve the color. As a whole, the dry dog food's use of corn, grains, and dyes make it a bad choice for pups. 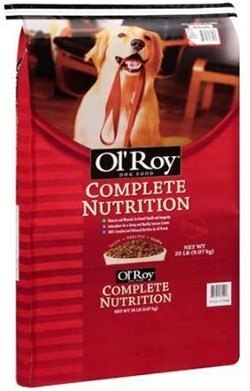 This dog food formula is natural, but that doesn't mean that its necessarily good. The main protein source is chicken meal rather than wholesome chicken. There's also ground corn, wheat, corn gluten meal, brown rice, and grain sorghum. It also contains sugary beet pulp and citric acid. In all, the formula can cause weight gain, digestive issues, and more. This dry dog food doesn't contain any healthy protein sources. Instead, it's filled with ground corn, soybean meal, ground wheat, and meat meal. Corn is listed as the first ingredient, which means that it has the highest concentration. Citric acid is also used as a preservative, which can cause tooth and digestive issues. 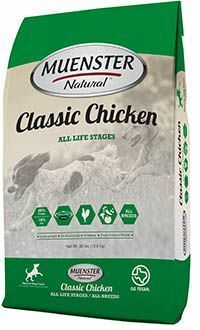 The closest thing to a natural protein in Pedigree is chicken by-product meal. This ingredient isn't great and can come from unwanted leftovers from a variety of sources. Ground whole corn and corn gluten meal are also used. A variety of synthetic colors are also utilized, making this formula an unhealthy choice all around. As a general rule of thumb, owners should avoid dog food formulas with ingredients they wouldn't consume themselves. Who wants to eat dead, dying, or diseased meats? This particular ingredient is especially harmful to dogs because owners will never know the exact source. High-quality formulas contain all-natural protein from healthy animals. However, 4-D meats are often full of chemicals, hormones, steroids, and much more. 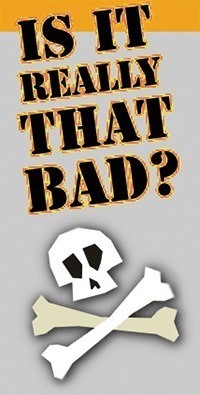 Not only that but these rejected and discarded meats may harbor potentially deadly extras. For example, sick and dying animals can contain all kinds of diseases. The same goes for roadkill that may harbor a slew of bacteria and parasites. Even seemingly innocuous sources like expired meat from a grocery store may be thrown into the formula without even being removed from the package. Because of the uncertainty with 4-D meats, dogs can be exposed to a lot of harm. Steroids, insecticides, and growth hormones can affect the way they develop and grow while chemicals and parasites can lead to a variety of health issues like cancer. Corn and grains are bad for dogs because they aren't built to consume these ingredients on a regular basis. Dogs are carnivores through and through. They don't have the right teeth to grind up grains. As a result, many dogs can develop digestion problems. The influx of GMOs, insecticides, and mold on corn and grain products can also lead to cancer and allergy issues. When it comes to synthetic ingredients like dyes and preservatives, many options have been found to do irreparable harm. Many dyes have high toxicity levels that can cause pulmonary problems and death. Some preservatives are carcinogenic and known to cause organ failure, stomach irritation, tooth decay, and more. With the wide variety of dry dog foods on the market, owners can easily find an option that's healthy and beneficial to their dog. Dry dog food is relatively inexpensive, especially when bought in bulk, and can be stored pretty easily. Not all dog foods are made the same. To avoid a potentially dangerous formula, it's important to examine the ingredients and packaging. This will ensure that the canine companion is getting the nutrition and protein they need. One of the easiest ways to pick a quality dry dog food is by looking at the label and choosing an option that has the "Balanced and Complete" phrase. To legally print this on the packaging, manufacturers have to follow government-enforced standards of quality. This government regulation ensures that the formula contains all the necessary nutritional standards to live a healthy life. 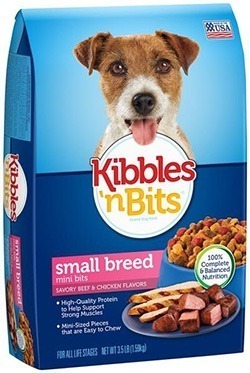 It also helps to separate good dog food from regular treats and mystery foods. Another thing to look out for is a "Stated Protein Content" chart. This chart will provide more information about the level of protein contained within the formula. For dogs, protein is key. They need high levels of protein to develop properly. To choose the best option, owners should go with a protein percentage that fits the particular breed. These protein charts break down the percentage of various ingredient groups compared to weight. Owners can check out how much protein, fat, fiber, and other various ingredients are in the dog food. With that being said, it's also important to delve into the specific ingredients list because the protein chart doesn't distinguish between healthy ingestible proteins and protein sources that aren't absorbed as well. The ingredients list is also arranged to make it simpler to understand. The various ingredients are listen in order based on their percentage weight. Typically, the first five ingredients will represent the bulk of the formula. Ingredients further down on the list are in tiny amounts. They are often vitamins and essential nutrients that are sprayed onto the kibble after it has been extruded and baked under high pressure. As stated before, digestible protein is the most important ingredient to look out for. On the ingredients list, look out for formulas that have a single word that's easy to understand. A simple label of "chicken," "beef," and other natural proteins are best. With something as simple as stating the type of meat, owners can rest assured that the formula contains suitable protein sources. While they may not be prime human-grade cuts, these meats are still high-quality and contain the important muscle meat. The best dry dog foods will typically contain a variety of different types of meats within the first few ingredients. Another acceptable type of ingredient is a meat meal. "Chicken meal" or "beef meal" contain ground up meat and bones. While it may not seem as appetizing, meals still contain high levels of protein. They also include a bevy of essential nutrients. 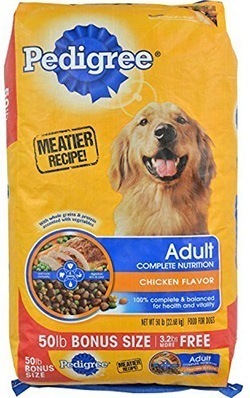 The meal ingredients aren't as great at natural muscle meat sources, but they are acceptable in quality dry dog food formulas. They're especially beneficial if used in combination with other natural meat sources. One thing to avoid is a meat byproduct. They can include questionable sources like the 4-D meat. Vegetable-based proteins have much less usable proteins than meats. However, they're found in many dog food formulas. They can supplement meat proteins and provide a number of different nutrients. They do have carbohydrates, which can result in weight gain. The key to choosing a healthy dog food is going with vegetable-based proteins that are beneficial and easy to digest. These include sweet potatoes and peas. The types to avoid are grains like whole wheat and soy. 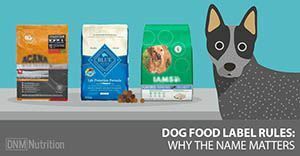 Because dog food is processed for a long shelf life, many manufacturers include additives to help with preservation, taste, and more. As mentioned earlier, synthetic chemical additives are to be avoided. There's no need to include synthetic flavoring if the formula contains a lot of protein. The same goes with dyes. In terms of preservation, it's good to look out for natural alternatives. Options like absorbic acid, which contains Vitamin C, is natural and effective. It won't cause harm like chemical alternatives. Finding a h﻿igh﻿-quality dry dog food for a canine companion is all about understanding the ingredients. While cheaper alternatives may be more cost-effective, they're doing more harm than good. With questionable protein sources like 4-D meats, harmful corn, and indigestible wheat, dogs are put at risk for a variety of health concerns. Instead of worrying about digestion issues, cancer, and poor development, owners should read the ingredients list and choose an option with wholesome ingredients that can help the dog thrive. Can Dogs Eat Dates? Is it Safe.? Raw Dog Food Diet,.. How Much to Feed per Day? 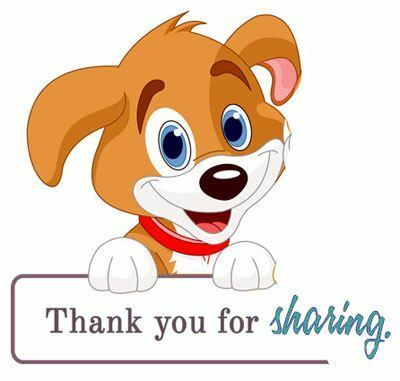 What is the Best Dog Food for Boxers? Can Dogs Eat Pizza? Just the Crust…? What Happens if a Dog Eats Gum? When Is it Safe for Dogs to Eat Expired or (old) Leftover Food? What’s the Best dog Food for Poodles? Can Dogs Eat Raw Eggs Without Getting Sick?